In a world that is racing to slow down the effects of global warming, solar energy has quickly become a contender in alternate energy resources. While not a perfect solution, it is one that the individual can take into his/her own hands, and it is beneficial to quell the rising cost of electricity and gas. There are many factors to determine solar energy’s true cost and benefit, but here are some of the reasons why it is worth further exploration. Monetary savings on utility bills. The average American household uses 920 kWh per month. Some solar installation companies guarantee an average of >800 kWh per month. In conventional relationships with utility companies, the customers are totally dependent on them for electricity and gas needs. Solar power users are able to gain a measure of independence from their utilities with utility bills possibly being lowered by 50% or totally eliminated. The average 20 year savings were estimated to be a little over $20,000 for Americans who went solar in 2011. This number went up substantially in heavily populated cities. Even if the solar panels aren’t able to supply all their power needs, they will be relying on conventional power a lot less. In the chance that a customer produces more power than they need, the utility company may pay them for it. Solar energy has the possibility of changing from a saving mechanism to an income stream. A reduction in carbon footprint. Through the use of an energy conversion calculator, studies have shown that the average American household generates 7.4 tons of carbon dioxide per year through electrical use. Carbon dioxide has been shown as a major cause of global warming, along with other emissions such as methane and additional particulates. The production of solar panels does produce some substances that are unsafe to the environment, but the impact is minimal. Also, it pales in comparison to fossil fuel emissions and does not require any mining or drilling as found in more conventional energy sources. Also, solar panels and stations carry a much smaller physical footprint than conventional or nuclear power stations. Although controversial, government subsidies have helped to make solar power cheaper and more available. There has been some benefit from this since the cost of a solar-power plant has dropped by 22% in 2010-13. In sunnier places, solar power is providing electricity to the grid as cheaply as standard coal- or gas-fired power plants. Reduce reliance on foreign and nonrenewable energy sources. The sun is a reliable resource. We do not have to worry about sunlight running out as we do with oil and coal. With the sun’s reliability and the simplicity of solar panels, a country gains the benefit of energy security. No one country is able to monopolize the sun’s energy which creates independence from home owner to their nation. Some countries have been noted to have saved billions already in lowered imports of oil and gas from neighboring nations. The technology has the potential to eliminate questionable treaties with nations that would otherwise consider each other to be hostile. In the long run, such progress could boost the economic security of citizens as a result. Solar energy does have some disadvantages. It is not a perfect solution. For instance, we can only harvest solar energy while the sun is shining. Due to this, we may always need to depend on an alternate energy source or means of storing energy. Also, solar power stations presently produce less energy than conventional ones, and they are more expensive to build and run. Although these and other factors exist that need to be worked out, it is too soon to throw the baby out with the bath water. 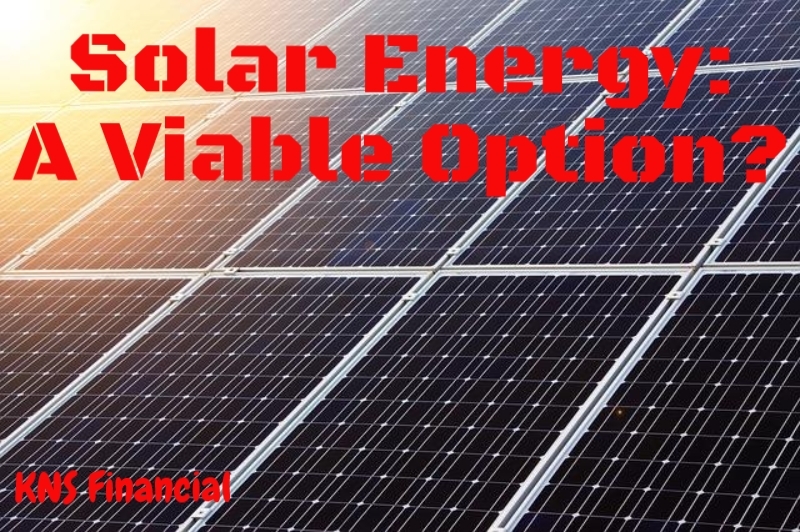 We are seeing many benefits with solar energy that shows there is value in working through the difficulties.